You get 2 Deconstructed challenge cards this time because I didn’t get 112 done until after the deadline. I’ll start with 113. 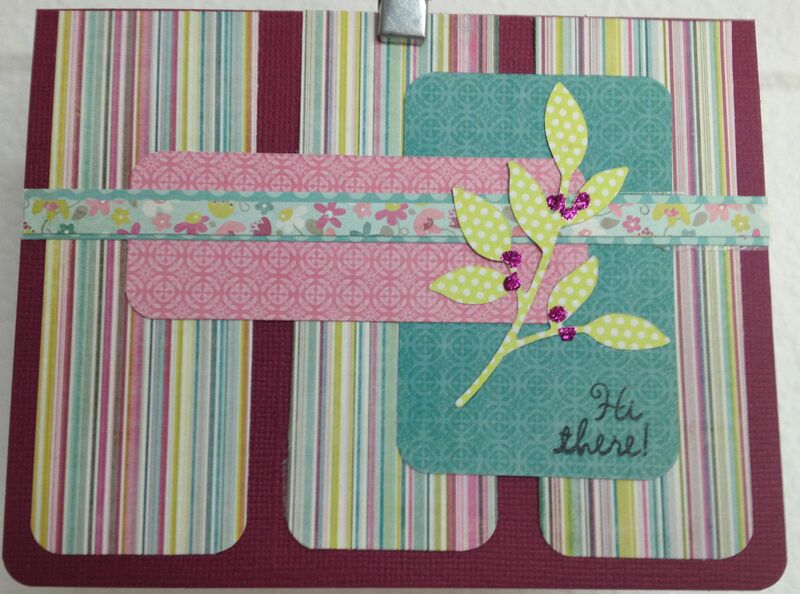 All of the papers are from American Crafts “Color Crush” 6×6 pad. 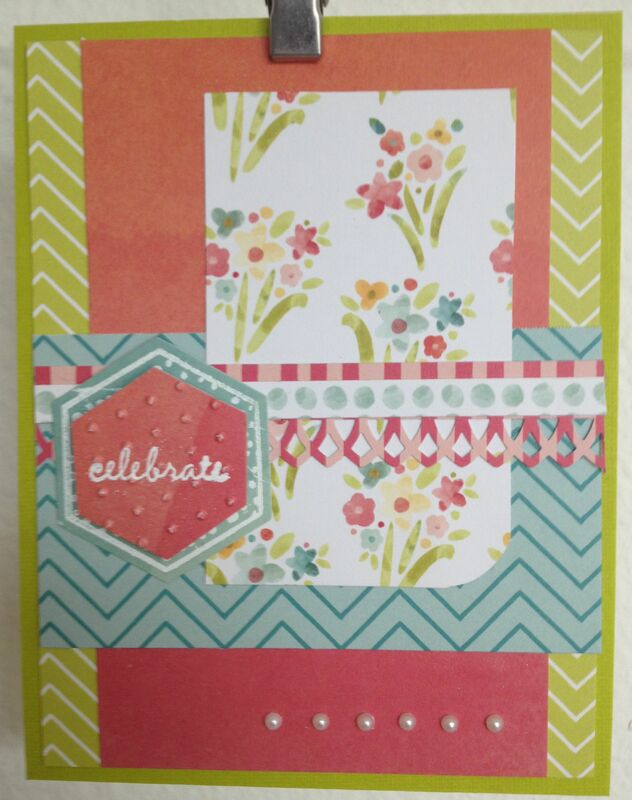 I white embossed both the turquoise hexagon and the sentiment and then used an embossing folder to add dimension to the sentiment hexagon. This is DS112. 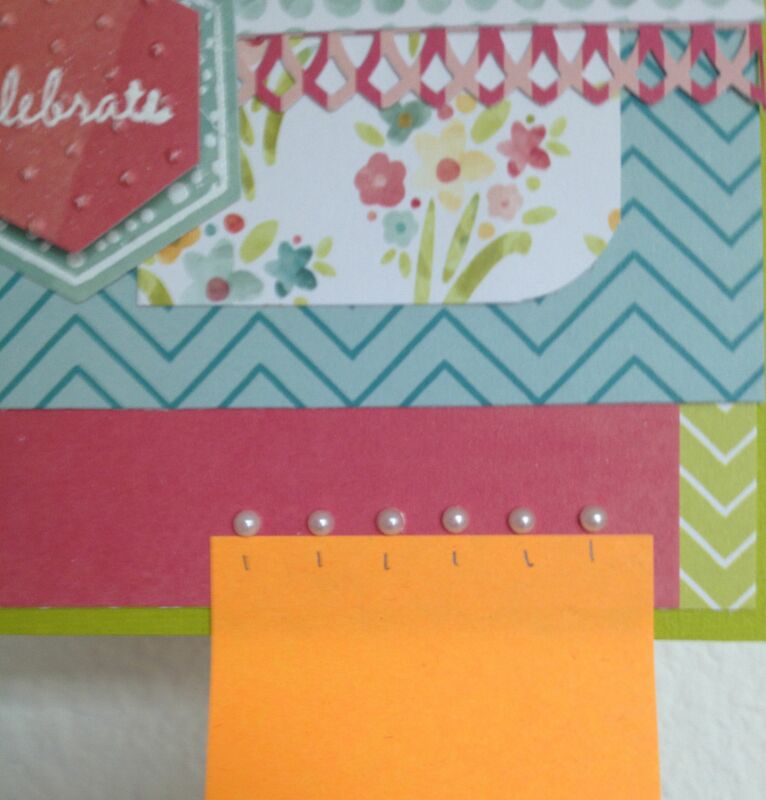 Love the colors of the striped paper! All of these papers were from the My MInd’s Eye 6×6 pad called “Memorable”. I really liked this pad because the papers are two-sided. There are lots more color options that way. Da Font is Da Bomb!